Do you remember the boy called Soccer Roy? Who loved the beautiful game? But his passion is still the same! He wanted to join a real team. This is the sequel to the acclaimed children’s book “Soccer Roy: First Touch”. Gary and Erin Curneen wrote both titles to forever honor their son Roy, who lived a brief life, and to give back to the hospital that gave them three weeks with their baby boy. Erin gave birth to Roy on December 3, 2014, and he was immediately taken into the care of Children’s Hospital Los Angeles, due to a congenital diaphragmatic hernia. Even though Roy could not be saved, Gary and Erin were overwhelmed by the care that their son received and felt a strong urge to give back in some way. Their hope is that Roy’s memory can forever make a difference in the lives of children. All profits received from this book will be donated to the Children’s Hospital of Los Angeles. 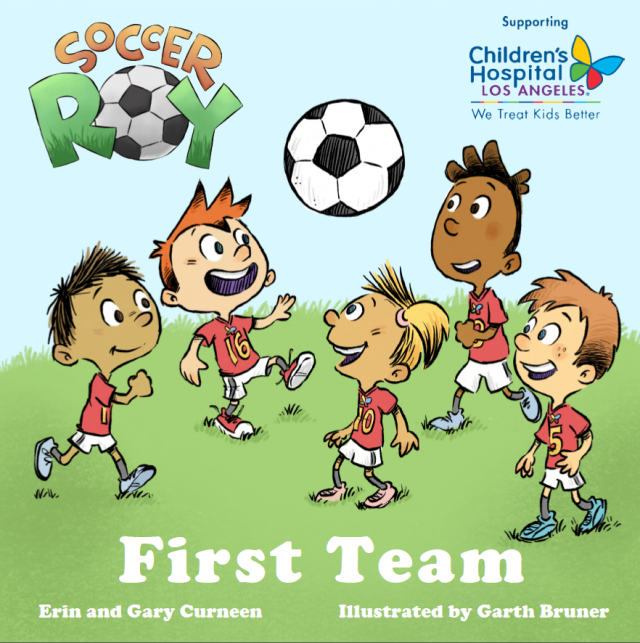 Book Categories: Children and Gary Curneen.